All I Want For Christmas Is My Builder’s License! Tis the season to be merry and bright! Bring a little cheer and fun into your marketing for this holiday season. During the Holidays things can get a bit hectic and time just flies by without a second thought. 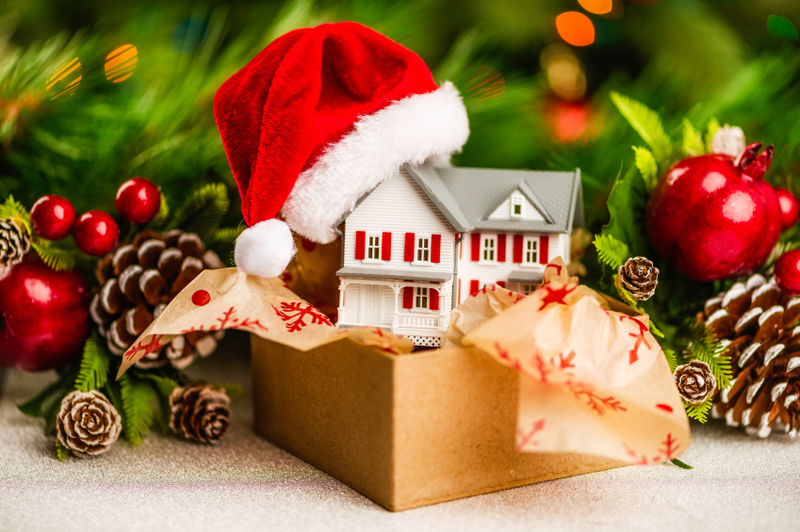 As a Real Estate agent why not make it a fun time for you, your staff, and clients with these festive marketing tips brought to you by the Real Estate Training Institute! One way to bring Christmas cheer into the office this is year is by decorating for the holiday season. Create and offer holiday themed coloring sheets with your logo incorporated on them. Have a neighborhood gingerbread decorating party or a holiday wreath contest. Hire someone or dress up yourself as Santa (or Mrs. Clause and Elves) and offer free Holiday photos at your office. Lastly, offer some Holiday cheer on social media by changing your logos to reflect a holiday message or design. Amid the hustle and bustle of this Holiday season you want your clients to remember both your business and yourself. This year send out personalized greeting cards or e-cards with a thoughtful greeting in it, and thanking them for their loyalty and business. By taking the time and sending out these personalized greetings you are showing your clients that you are a real person instead of just a business. To spread the warmth of Holiday cheer, host a local food and toy drive. This will not only bring people through your doors but also show that, as a business, you care about your community. Send out flyers or broadcast on the radio about your drive, location of your office, and where the donations will be going. The Holidays are a great time to throw parties and other festivities. This year throw a Client Appreciation party and host it at your office or at your local community center. Invite all those who you have recently closed deals with, those who you are currently working with, and those who you hope to work with in the future. By hosting a party it will be a great way for you to network, showcase your successes, and continue to improve relationships with previous clients that could lead to referrals down the road. If hosting parties isn’t your thing, or the Grinch has robbed you of time this year, have no fear we have a solution for you. Send small gifts of appreciation to clients you have closed with during the year and to those you are working with currently. Each gift can range from a Holiday greeting with a gift card attached, a festive gift basket for the family, or a special bottle of wine. Every gift you send will be an extra touch that will be a fond memory for your clients this Holiday season. With all the running around shopping and stress of Holiday marketing, getting your business name out there can fall through the cracks. People are unsure if they truly want to sell their house during this time and are actively looking for a realtor who will take them by the hand and someone they can trust. By trying some of the holiday marketing ideas and tips above you can relieve the stress of attracting new clients during this busy season. From all of us at the Real Estate Training Institute!